Our nation’s coast is a complicated management area where no single delineation provides all of the demographic statistics needed to address the full range of policy and management issues. As a result, several different coastal delineations are currently being used, yielding a variety of US coastal population statistics. This paper proposes a simple model for generating and applying coastal population statistics at the national and regional level to increase consistency in coastal policy discussions and improve public understanding of coastal issues. The model includes two major components. The first component is “the population that most directly affects the coast,” represented by the permanent US population that resides in a standard suite of Coastal Watershed Counties, where land use and water quality changes most directly impact coastal ecosystems. The second component is “the population most directly affected by the coast,” represented by the permanent US population that resides in a standard suite of Coastal Shoreline Counties that are directly adjacent to the open ocean, major estuaries, and the Great Lakes, which due to their proximity to these waters, bear a great proportion of the full range of effects from coastal hazards and host the majority of economic production associated with coastal and ocean resources. The views expressed in this paper are those of the authors and do not necessarily represent those of the National Oceanic and Atmospheric Administration. The authors would like to thank Mark Crowell of the Federal Emergency Management Agency, Linwood Pendleton of Duke University, Marc Perry of the U.S. Census Bureau, and Charles Colgan of the University of Maine for their contributions to this paper. National Association of Counties (NACO). 2012. Coastal counties. http://www.naco.org/Counties/Pages/default.aspx. Accessed 19 July 2012. National Ocean Economics Program (NOEP). 2009. State of the U.S. ocean and coastal economies 2009. http://www.oceaneconomics.org/NationalReport/. Accessed 6 June 2012. National Oceanic and Atmospheric Administration (NOAA). 2012a. NOAA’s State of the Coast Web Site. http://stateofthecoast.noaa.gov. Accessed 30 May 2012. National Oceanic and Atmospheric Administration (NOAA). 2012b. Coastal Assessment Framework. http://coastalgeospatial.noaa.gov/ or http://coastalsocioeconomics.noaa.gov. Accessed 7 June 2012. National Oceanic and Atmospheric Administration (NOAA). 2012c. 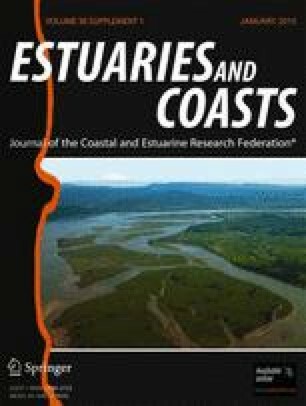 Spatial Trends in Coastal Socioeconomics. http://coastalsocioeconomics.noaa.gov/. Accessed 30 May 2012. National Oceanic and Atmospheric Administration (NOAA). 2012d. National Coastal Population Report: Population trends from 1970 to 2020. Available from: http://stateofthecoast.noaa.gov/features/coastal-population-report.pdf. National Oceanic and Atmospheric Administration (NOAA). 2012e. NOAA Medium Resolution Shoreline. http://www.shoreline.noaa.gov. Accessed 30 May 2012. National Oceanic and Atmospheric Administration Coastal Services Center (NOAA CSC). 2012. Economics: National Ocean Watch Web Site and Dataset. http://www.csc.noaa.gov/enow/explorer/. Accessed 10 June 2012.